A bar showcasing only Iowa made beers opened its doors for the first time this week. The Iowa Taproom, located on the east side of downtown Des Moines (215 E. Third St.), has 120 beers on draft and they’re all from breweries around the state. Iowa Taproom co-owner Jeff Bruning says, for now, 24 breweries are featured, along with two cideries. “We do have some distributors here in town that are carrying some of the beers, so that makes it easier for us, but there are some others coming from Decorah, Glendale, Iowa City, and Cedar Rapids,” Bruning says. The 120 beer taps are attached to a 14-foot diameter grain silo behind the main bar. “It’s definitely the focal point,” Bruning says of the silo. “You can’t miss it. You can see if from anywhere in the building and it’s kind of the first thing that catches your eyes.” The bar that wraps around the silo is covered with an old countertop salvaged from a bar in Jewell, Iowa. While the beer is the main draw, the food menu also features Iowa favorites – including a pork tenderloin. “It’s just different spins on things…we have a good burger menu, wings, and ham balls,” Bruning said. Many of the wall hangings and furnishings in the bar were made in Iowa or were salvaged from somewhere in the state. 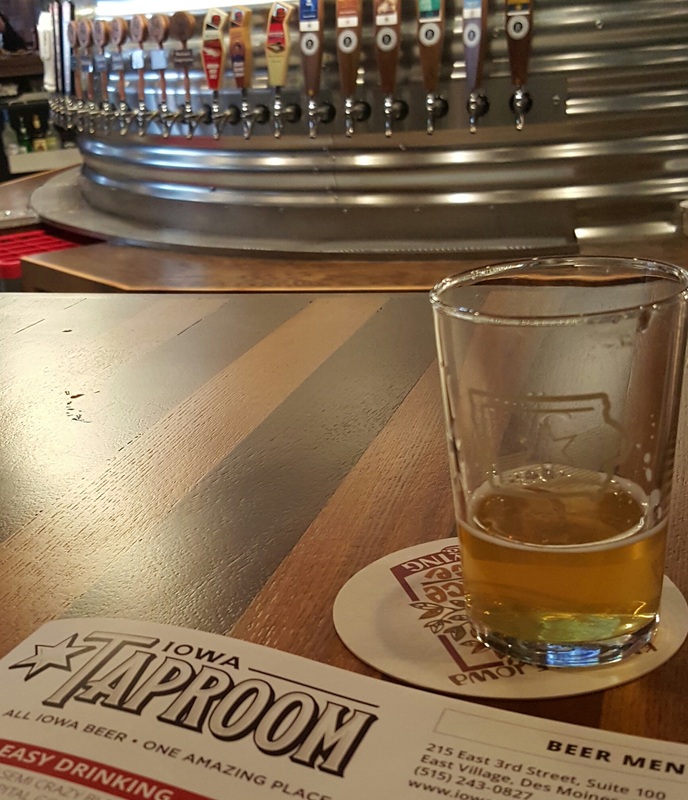 The Iowa Taproom is the creation of Full Court Press, the Des Moines company that also owns el Bait Shop, High Life Lounge, Mullets, the Royal Mile, Fong’s Pizza, and Hessen Haus — to name a few.